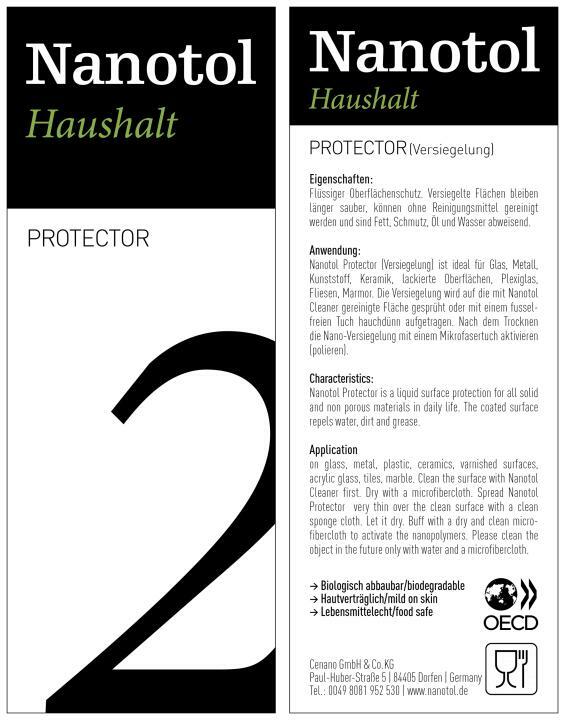 Eine Versiegelung mit Nanotol Haushalt Protector schützt alle glatten Oberflächen im Haushalt vor Schmutz und Fett und garantiert perfekten, langanhaltenden Glanz ohne Fingerabdrücke auf Fenstern, Kochfeldern, Arbeitsplatten etc. 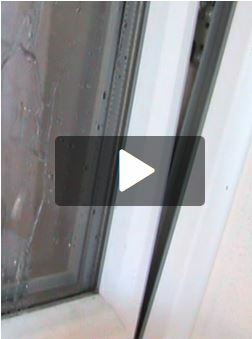 Long lasting water, dirt and dust repellency. 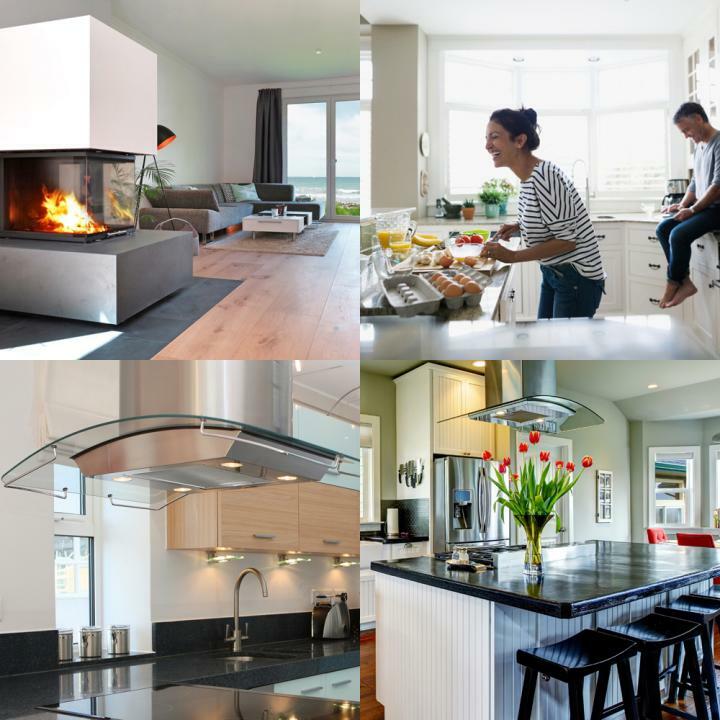 Great for windows including frames, furniture, mirrors, glossy surfaces, hobs and much more. 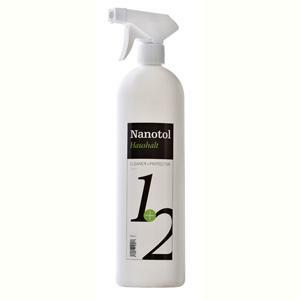 Nanotol Household Protector is a high quality coating for the complete household. It is a kind of protective shield on the treated surface and provides dirt, fat, oil and water repellency (Nanotol lotus effect). The surface stays clean much longer and can easily be cleaned with pure water after the coating. 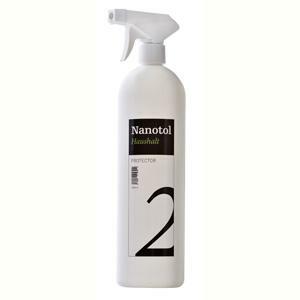 Nanotol Household Protector provides a long lasting, perfect, deep shine without streaks with a long lasting effect against fingerprints. 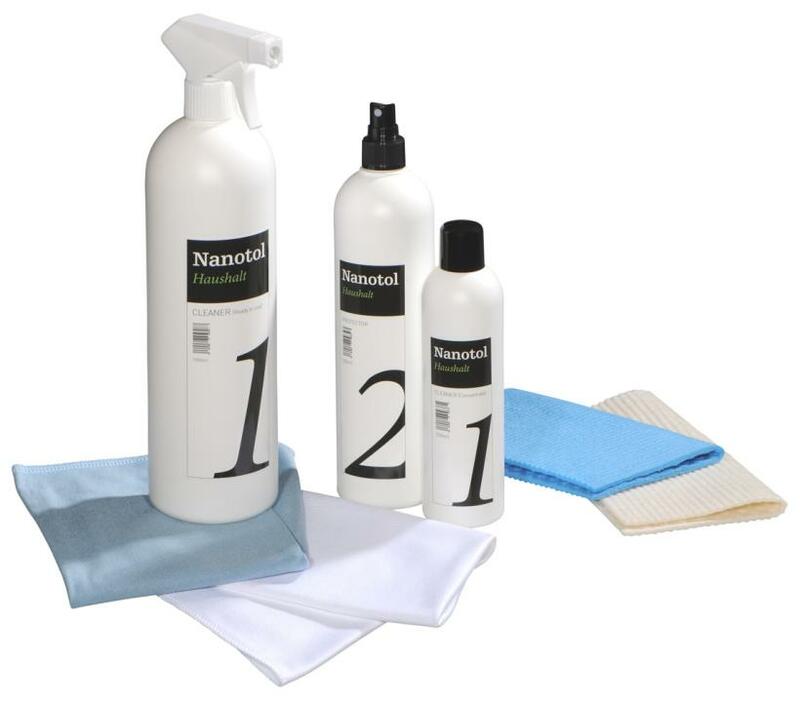 Nanotol Household Protector coats all smooth surfaces like glass, windows, plexiglass, frames, glass facades, conservatories, cabinets, showcases, worktops, kitchen cupboards, extraction hoods, stainless steel, hobs, high gloss wall units and all kitchen furniture, tiles and marble – even soot has almost no chance on a coated fireplace glass. 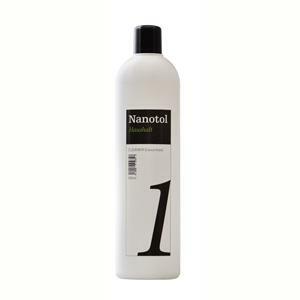 Nanotol Protector is very eco-friendly, not only due to minimal product use and its complete biodegradability, but especially due to the sustainable savings of surfactants.This is proved by numerous tests and certificates.